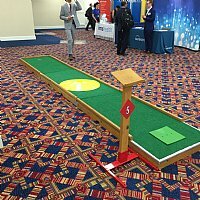 The Ant Hill mini golf obstacle does not look challenging but if not played correctly on our putt putt miniature golf rental course it can cause unnecessary extra strokes on your scorecard. 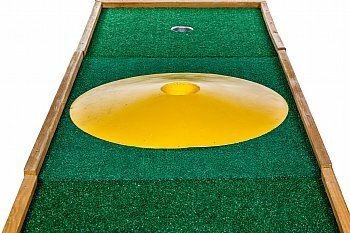 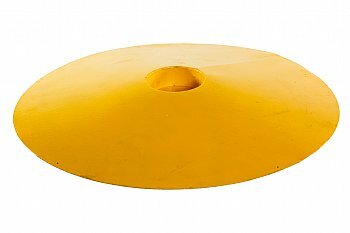 The Ant Hill mini golf obstacle measures 30 inches in diameter with the dreaded hole in the center. 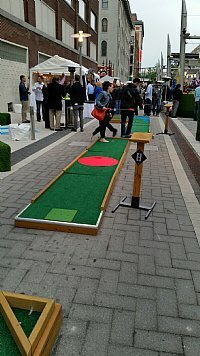 There are many different ways to play this mini golf obstacle but the wise putt putt mini golf players will be keen not to hit too strong over it. 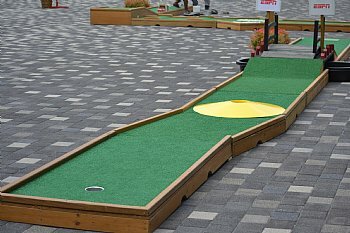 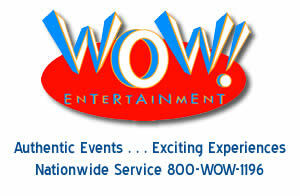 Our putt putt miniature golf rental designers do not always place the Ant Hill mini golf obstacle at the same spot on the putt putt miniature golf course. 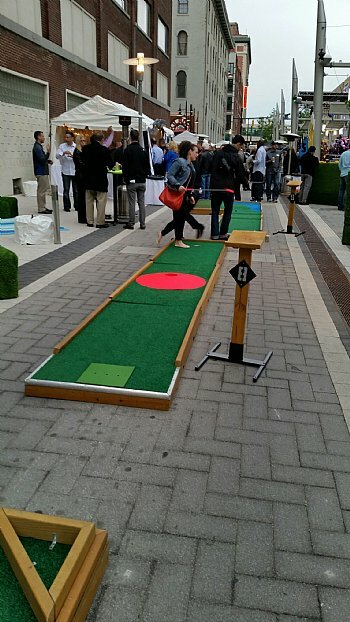 The Ant Hill mini golf obstacle is included as a standard item on our 9 hole putt putt miniature golf rental course.